I must admit I was misled in reading the specifications for the GGG-1016 Quick Detach mount for a PVS-14 night vision scope and thought this was a more substantial base for the EOTech to raise it up to be in line with the PVS-14 for sighting. Am I the only one that misinterpreted this on GGG’s website? Regardless, it’s here now and, like everything else from GGG, is manufactured from solid billet and tough as it gets. I’m mounting it on an EOTech 552 to fit on my M4 carbine. The instructions are brief but clear. Installation is straight-forward and takes no more than a couple of minutes and all the required tools (torx and hex wrenches) are included. You will want some Lock-tite 242 blue or equivalent thread locker. 1. Remove the thumb screw that clamps the EOTech to the 1913 rail. 2. 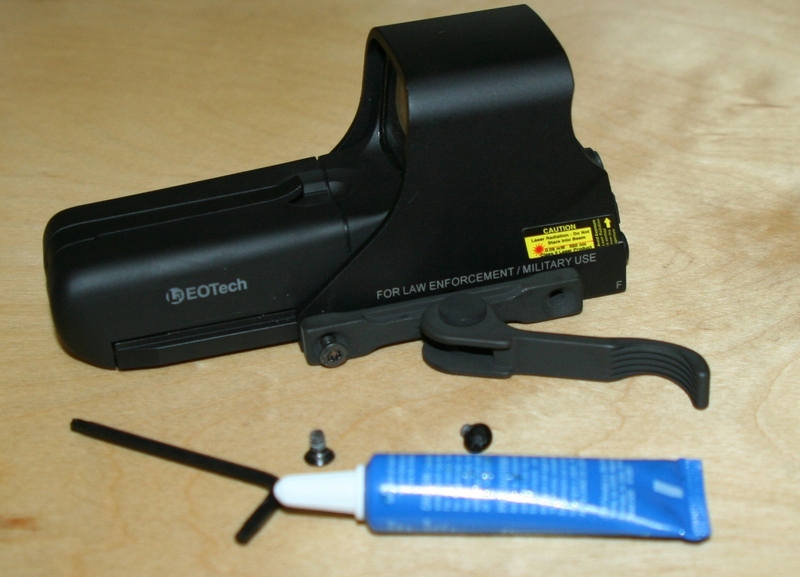 Remove the two torx screws that hold the left side of the EOTech cover on. 3. Place the cam mechanism on the side of the EOTech so it lines up with the cover screws. 4. Apply lock tite to the new longer screws that are included and torque them down to 20 inch pounds. 5. 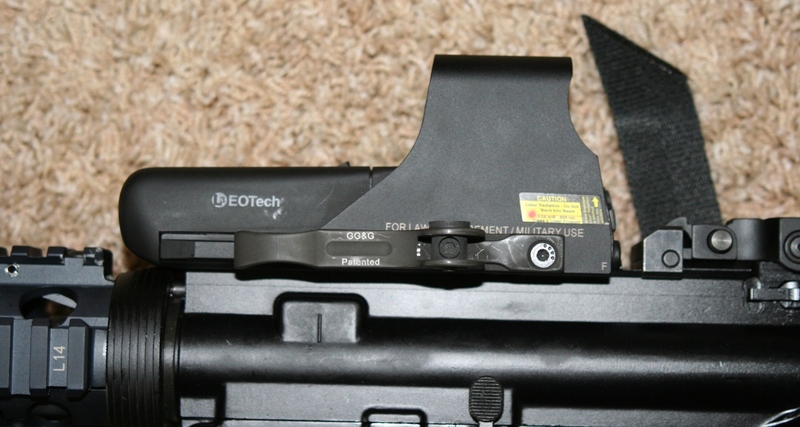 Place the EOtech on the weapon’s rail. 6. Move the came lever forward into the locked position. 7. Tighten the hex head cross-bolt down until the EOTech is tight on the rail – roughly 15 inch pounds. 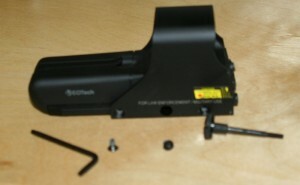 Enjoy your new quick detach EOTech! Like everything GG&G makes, it’s pricey at, but it’s likely going to outlast you. 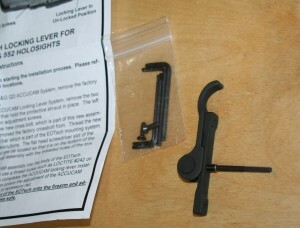 I’m sure there are cheaper mounts out there, but skimping on something that could potentially drop my $500+ EOTech doesn’t strike me as logical. The GGG-1190 is available from Amazon.